Buy Screw Self-cleaning 3D Snack Pellet Machinery For Fried Snacks , Pellets Extruding Machine - Shandong TUOBO Microwave Machinery Co.,Ltd. and frying, flavoring with the flavor powder can get delicious snacks food. food and so on. Our technical assistance will help clients produce high quality products all the time. As a leading manufacturer of inflating food machinery, we are selling and marketing the machines to many countries in the world. We keep improving our machines and upgrading techniques to satisfy the requirements of all the clients. 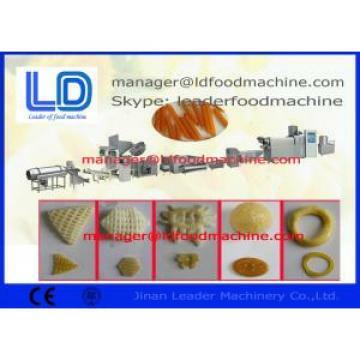 Depending on our rich experience and professional experts on the extruded food industry,we could offer the most suitable and complete program to assure that your investment will get biggest profit.